The extent that the thyroid gland is removed during thyroidectomy depends on the reason for surgery. If only a portion of the gland is removed (partial thyroidectomy), your thyroid may be able to function normally after surgery. If your entire thyroid is removed (total thyroidectomy), you need daily treatment with thyroid hormone to replace your thyroid’s natural function. Thyroid cancer. Cancer is one of the most common reasons for thyroidectomy. If you have thyroid cancer, removing most, if not all, of your thyroid will likely be a treatment option. Overactive thyroid (hyperthyroidism). Hyperthyroidism is a condition in which your thyroid gland produces too much of the hormone thyroxine. If you have problems with anti-thyroid drugs and don’t want radioactive iodine therapy, thyroidectomy may be an option. 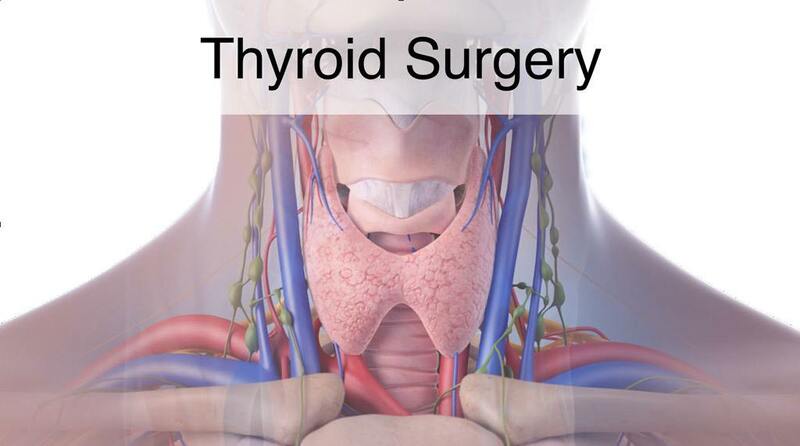 Thyroidectomy is a safe procedure, and the complication rate is very low. You will need to avoid eating and drinking after midnight the night before surgery, as well, to avoid anesthesia complications. Your surgery will be performed under general anesthesia, so you won’t be conscious during the procedure. The anesthesiologist or anesthetist gives you medication to make you sleep during the procedure. A breathing tube will then be placed in your trachea to assist breathing throughout the procedure. Once you’re unconscious, the surgeon makes a small incision in the center of your neck or a series of incisions some distance from the thyroid, depending on the surgical technique used. All or part of the thyroid gland is then removed, depending on the reason for the surgery. If you’re having thyroidectomy as a result of thyroid cancer, the surgeon may also examine and remove lymph nodes around your thyroid. Thyroidectomy usually takes a few hours. After surgery, you’re moved to a recovery room where the health care team monitors your recovery from the surgery and anesthesia. Once you’re fully conscious, you’ll be moved to a hospital room. After a thyroidectomy, you may experience neck pain and a hoarse or weak voice. This hoarseness doesn’t necessarily mean there’s permanent damage to the nerve that controls your vocal cords. These symptoms are often temporary and may be due to irritation from the breathing tube (endotracheal tube) that’s inserted into your windpipe (trachea) during surgery or as a result of nerve irritation caused by the surgery. You’ll be able to eat and drink as usual after surgery. You will stay overnight in the hospital. When you go home, you can usually return to your regular activities. Wait until you are off of pain medications before driving. If only part of your thyroid is removed, the remaining portion typically takes over the function of the entire thyroid gland, and you likely will not need thyroid hormone therapy. 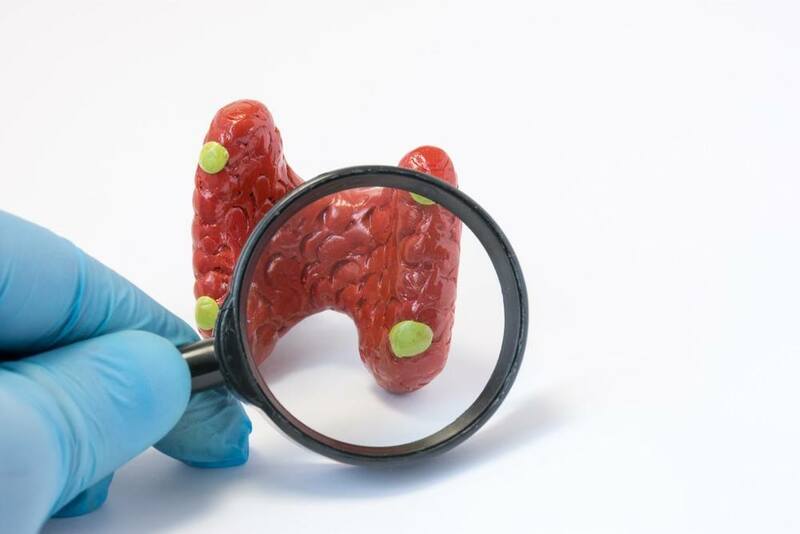 If your entire thyroid is removed, your body can’t make thyroid hormone and without replacement you’ll develop signs and symptoms of underactive thyroid (hypothyroidism). As a result, you’ll need to take a pill every day that contains the synthetic thyroid hormone levothyroxine (Levoxyl, Synthroid, Unithroid). 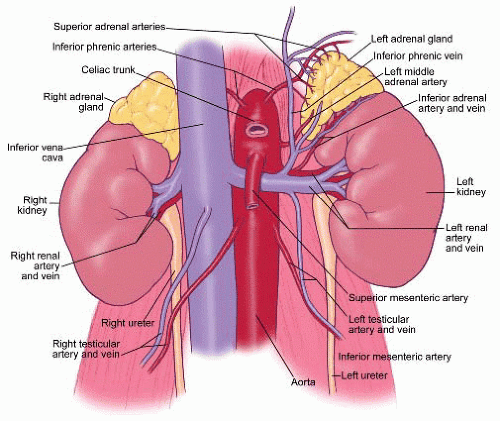 Adrenal surgery has been revolutionized recently with the advent of operative laparoscopy. A laparoscope is like a telescope and through this “minimally invasive” approach an adrenal gland can be removed, thereby minimizing the amount of post-operative pain and the overall recovery period. In some patients with very large tumors of the adrenal gland (>8 cm) or other confounding problems, the laparoscopic approach is not recommended and the standard, larger incision is preferred. However, in most patients requiring an adrenalectomy, the laparoscopic approach is appropriate. Laparoscopic adrenalectomy is now being performed on a routine basis at our centre. The benefits of the minimally invasive approach are quite clear in regard to postoperative pain and length of hospitalization. Most patients require only a single night hospital stay after the surgery. Patients report a requirement for pain medications that lasts an average of 2-3 days with a “return to normal activities” by 5-7 days. These results represent a significant improvement compared to the standard open adrenalectomy that has been done in the past.